A 2nd century AD marble statue of the Ancient Egyptian goddess Isis, who was also worshipped in the wider Greco-Roman world, and a marble head of a satyr, a male companion of ancient wine god Dionysus, have been discovered by archaeologists at a Roman villa and nymphaeum near the town of Kasnakovo in Southern Bulgaria. 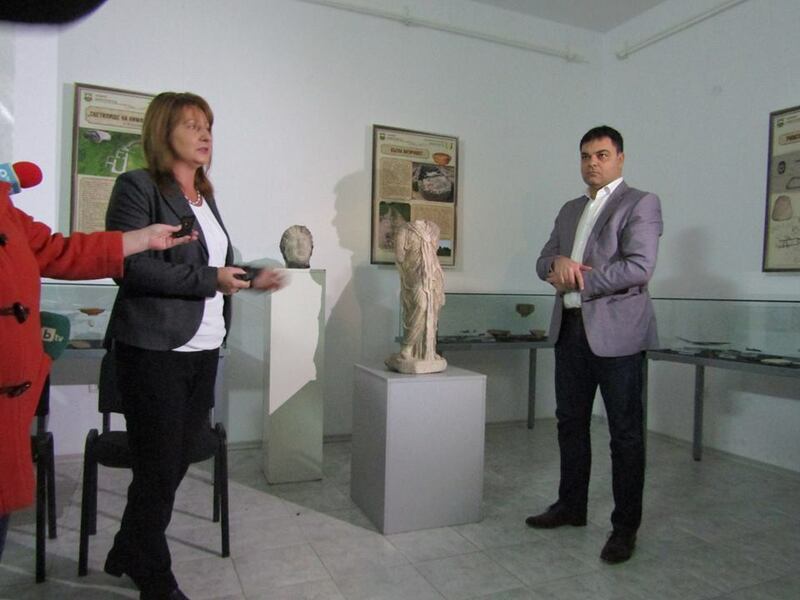 The discovery of the ancient marble statues has been announced at the Dimitrovgrad Museum of History by archaeologist Assist. Prof. Veselka Katsarova from the National Institute and Museum of Archaeology in Sofia. Katsarova has excavated the Antiquity archaeological site near Kasnakovo in the past decade. In 2015, her team found intact decorative mosaics in one of Roman villa buildings. 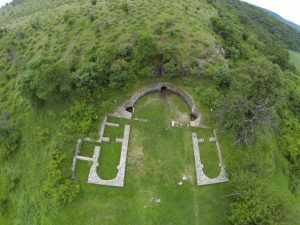 The Ancient Roman villa estate near the town of Kasnakovo, Dimitrovgrad Municipality, in Southern Bulgaria, existed from the middle of the 2nd century AD until the middle of the 4th century AD. It is known for its nymphaeum, i.e. a shrine dedicated to the nymphs and Aphrodite by a Thracian veteran from the Roman military known as the Shrine of the Nymphs and Aphrodite. The nymphaeum consists of three architecturally decorated mineral water springs. The place originally became an Ancient Thracian rock shrine in the Early Iron Age. It is known especially for the still surviving inscription in Ancient Greek left by the founder and owner of the Roman villa. Learn more about the inscription in the Background Infonotes below. 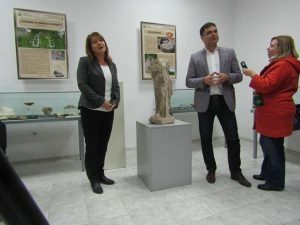 The newly discovered statue of Ancient Egyptian goddess Isis, whose cult later spread throughout the Roman Empire and the wider Greco-Roman world, is the first statue of Isis to have ever been found in Bulgaria, lead archaeologist Katsarova notes. In her words, only parts of statues which are believed to have been of Isis have been discovered in Bulgaria so far but none of them is certain to have depicted that particular ancient deity. The newly found statue from the Roman villa and nymphaeum (the Shrine of the Nymphs and Aphrodite) near Kasnakovo has been identified as depicting Isis through comparison with similar sculptures kept in museums in Rome, Italy, and Vienna, Austria – as well as by the depiction of the so called “knot of Isis”, the tyet, i.e. the Ancient Egyptian herophyph of the goddess, found on the statue’s chest. 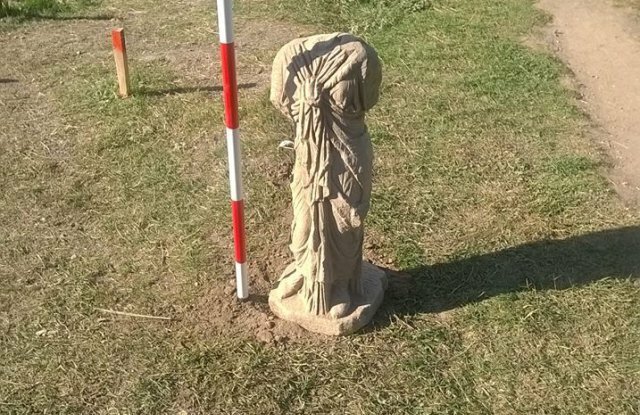 A similar statue of Isis has been found in an Isis temple in Bulgaria’s neighbor to the southwest, the Republic of Macedonia. “The marble statue [of Isis] is 80 cm tall, and lacks arms and a head. Regardless of that, it is a wonderful work [of sculpture], and is perfectly preserved,” Katsarova says, as cited by BTA. “The statue has been found in a large room with a mosaic floor, part of a residential building,” she explains. 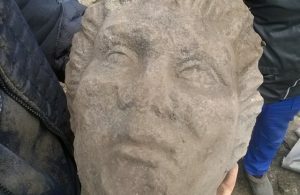 A marble head of a satyr, a male companion of ancient wine god Dionysus with horse-like features, has also been found a month ago during the latest excavations at the Roman villa and the Shrine of the Nymphs and Aphrodite at Bulgaria’s Kasnakovo. In 2015, a satyr mask was discovered at emporium Pistiros, also in Southern Bulgaria. Katsarova says her team at first thought that the satyr head had been part of a stone pedestal. However, subsequently, they have found evidence that it had been part of a life-sized statue, probably about 165 centimeters tall. Both the Isis statue and the satyr statue are hypothesized to have been used as decorations – the Isis statue in the middle of possibly the most important room of the estate, and the satyr statue in an inner yard. “When the villa was destroyed, the statue fell on the floor. It used to stand in the center of one of the most monumental rooms in the building which is decorated with floor mosaics,” the archaeologist says. Both finds are dated to the middle of the 2nd century AD, and, more specifically, to the period between 138 and 160 AD. 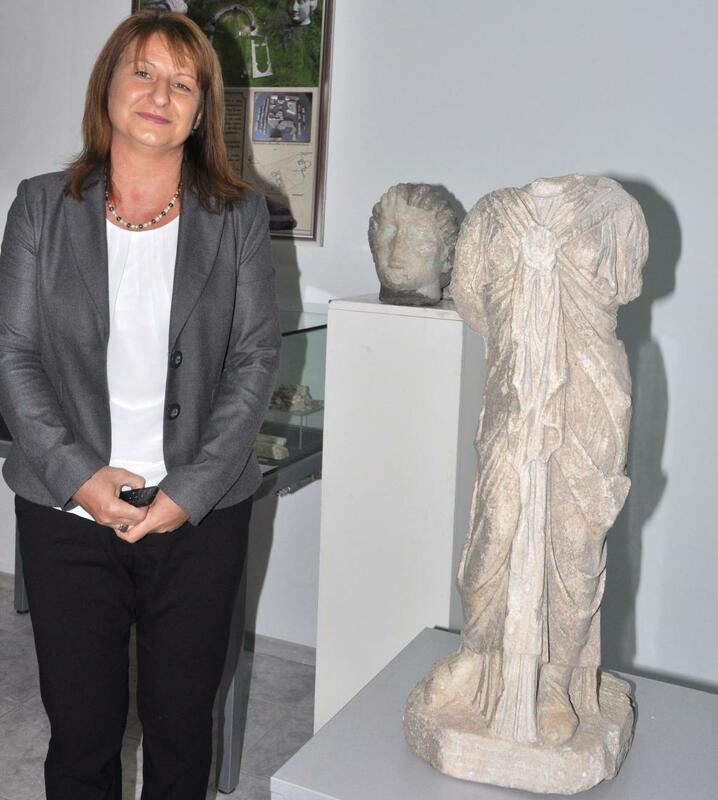 Katsarova has also announced that a joint Bulgarian-Austrian research project is going to study the origin of the marble of which the statues of Isis and the satyr were made. Both items appear to have been made of the same material. “The finds are very valuable, and confirm that the person who owned the estate had tremendous financial resources, and was an extremely influential person in [the Roman province of] Thracia (Thrace),” she has emphasized. The archaeologist hypothesizes that the Shrine of the Nymphs and Aphrodite was not a public place but was part of the estate of the nearby Roman villa owned by the couple of Titus Flavius, a Thracian veteran from the Roman military, and his wife, Claudia Montana. “Our research in the past 10 years has led me to believe that in this place the worship of the Nymphs and Aphrodite occurred inside the family of a Hellenized family couple who owned this estate. It was not a public shrine,” she says. The researcher has also pointed out that in the said period the cult of the originally Egyptian goddess Isis was very popular in the part of Roman Empire that is now Bulgaria and its region. One of her hypotheses is that Claudia Montana was a priestess of the Isis cult. 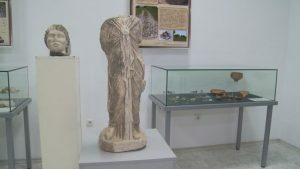 Katsarova has described the two statues as the most valuable artifacts discovered at the Kasnakovo archaeological site to date. 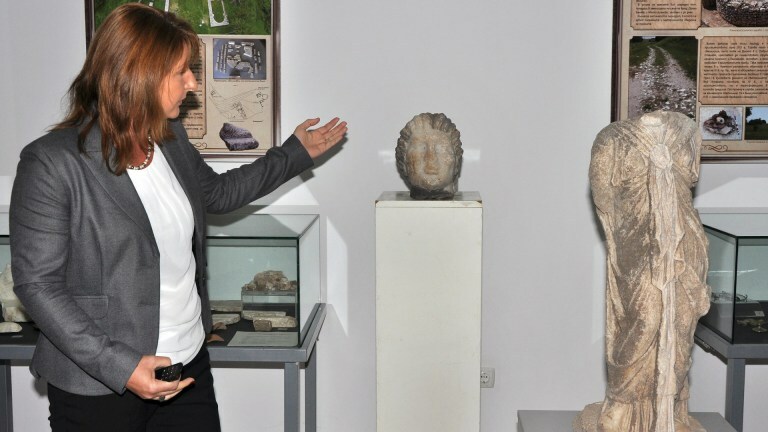 “Dimitrovgrad Municipality is going to keep investing in this archaeological site. 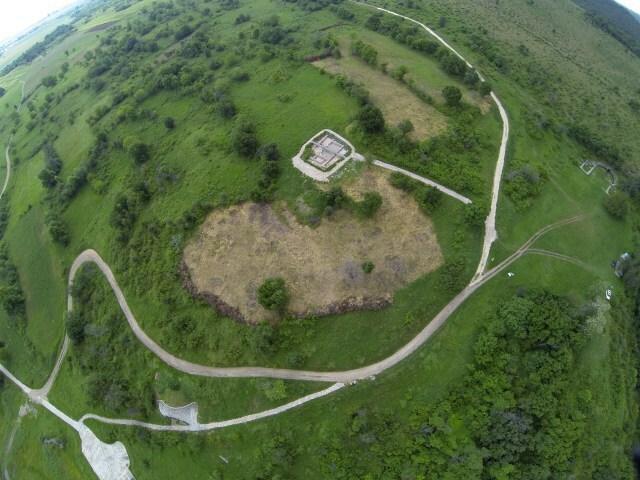 We intend to carry out a new geophysical survey in order to expand the area of the estate and the cult site that is researched,” Dimitrovgrad Municipality Mayor Ivo Dimov has said. About 10,000 tourists visit the Roman estate and the Shrine of the Nymphs and Aphrodite. The discovery of the Isis statue and the satyr head has been announced as part of a conference at the Haskovo Regional Museum of History dedicated to the 90th anniversary since the start of museum activities in the area. 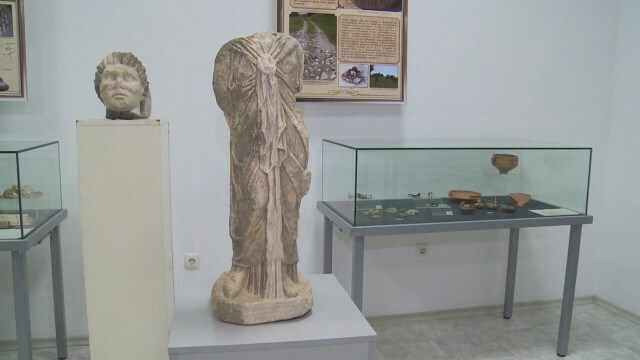 After their restoration, the Isis statue and the satyr head found at the Roman estate and the nymphaeum in Kasnakovo will become part of the collection of the History Museum in Bulgaria’s Dimitrovgrad. [LEFT]: An aerial view of the nymphaeum, i.e. the Shrine of the Nymphs and Aphrodite, with its three mineral springs, which is part of the Ancient Roman villa of Titus Flavius and Claudia Montana built in the 2nd century AD. The place originally was an Ancient Thracian rock shrine dating back to the Early Iron Age. Photo: archaeologist Veselka Katsarova. [RIGHT]: An aerial view of much of the Roman villa estate near Bulgaria’s Kasnakovo, with the nymphaeum, i.e. the Shrine of the Nymphs and Aphrodite visible on the right (also view the photo above). Photo: archaeologist Veselka Katsarova. The Ancient Roman villa estate near the town of Kasnakovo, Dimitrovgrad Municipality, in Southern Bulgaria, is known for its nymphaeum, i.e. a shrine dedicated to the nymphs and Aphrodite by a Thracian veteran from the Roman military. The Shrine of the Nymphs and Aphrodite, as the nymphaeum in question is known, is part of the Roman villa estate which was built in the middle of the 2nd century AD, and survived until the mid-4th century AD. While the nymphaeum, which consists of three architecturally decorated mineral water springs, has been a well known archaeological and historical site in Bulgaria for decades, after it was first excavated in 1945-1946, little of the entire Roman villa estate had been explored until the digs were resumed there in 2007, and then again in 2013 and 2015. 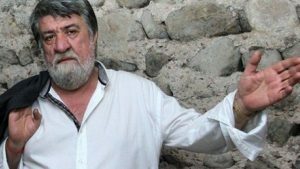 The latest archaeological excavations of the Roman villa near Kasnakovo have been led by archaeologist Assist. Prof. Veselka Katsarova from the National Institute and Museum of Archaeology in Sofia. In 2015, her team found intact decorative mosaics in one of the buildings. Two of the five (out of a total of seven) buildings that have been excavated there so far were used for residentialpurposes. One of those two, the building explored in 2007, was burned down in the middle of the 3rd century AD, most probably during the invasion of the Goths in 251 AD, and was never rebuilt. The building excavated in 2015 was also destroyed in the mid 3rd century but was restored in the 370s, and survived until the middle of the 4th century AD.